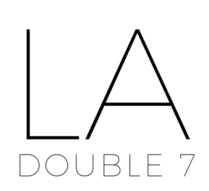 Square – LA Double 7, Inc. Lavish flowers bloom in a dreamy haze of colors against a solid background on this square scarf. Composed of a soft and silky fabric, creating an ensemble-perfecting accessory you’ll love reaching for year-round. Wear as a head scarf, elegantly tie around your neck, or spice up casual outfits. Add a chic addition to your wardrobe with this classic pattern and over-sized constructed scarf! Available in four timeless shades. An over-sized flower adorns this scarf cut from a soft, lightweight polyester fabric that’ll instantly take any casual look to stylish new heights. The lightweight material makes it easy to take your look from day to night and season to season. Brighten up your everyday look with this square floral scarf that sports a vintage-inspired pattern and vibrant pink and teal accents. This faux-silk scarf upgrades a casual top in seconds.